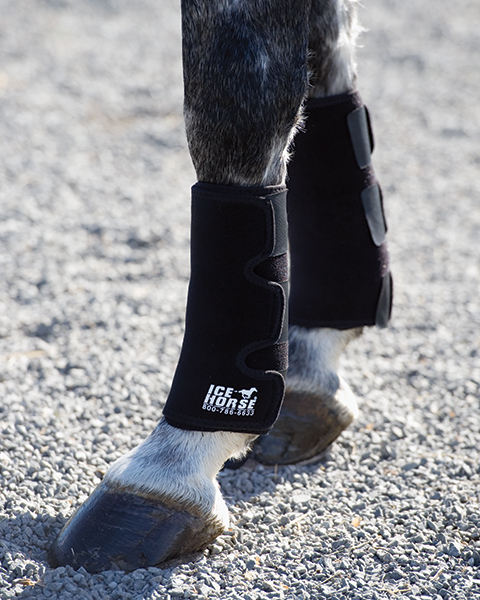 Reusable, stay cold for over two hours and mold to the horses legs for maximum coverage. Our unique breathable fabric features anti migration technology to keep the wraps in place and the ice compressed against the area being treated. When your Ice Packs freeze hard, you know it is time to replace them.